Astrophotography equipment means anything from a camera to an image editing software. Your astrophotography kit can contain dozens of devices, some affordable, some quite expensive. This is one of, if not the most, costly field of photography. You will want to start off with the basics, but in the end, after you completely fall in love with astrophotography, you will feel the need to buy all the wonderful devices that will help you capture the most mesmerizing images of the deep sky. There are many types of cameras you can use to shoot the stars, galaxies, nebulae, etc. You can capture astronomical objects with a DSLR camera, a dedicated CCD camera, a point-and-shoot, and even the standard webcam. As you can see, there are options to suit every pocket. However, we would recommend you choose to go for the DSLR. Digital single lens reflex cameras are easy to find, offer high-quality images, and you can use them in your day-to-day life. DSLRs feature removable lenses that come with a variety of focal lengths to fit your astrophotography need. For excellent results, attach a telescope to the camera to act as a lens. You won’t be disappointed. Additionally, you get full control over the shutter speeds, the aperture, and ISO. The second most vital tool of astrophotography equipment would be the telescope. The type of telescope you will choose to invest in (and mind you, they are pricey) largely depends on the kind of astrophotography you are into. The three common types of telescopes used for astrophotography are the Newtonian – the most affordable, the Schmidt-Cassegrain, and the Refractor – the most expensive. Large telescopes are costly and also require expensive mounts. Beginners might want to start with a small refractor and add a field flattener to fix some of its issues. You can find out more about the best telescopes for astrophotography here. 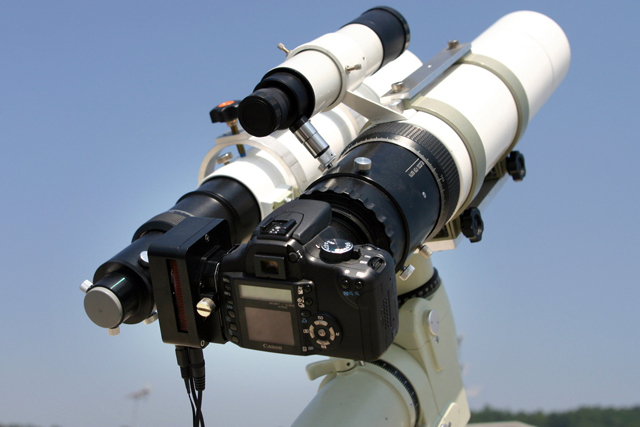 You also need a good mount to add to your camera and telescope in order to track the stars. There are many types of mounts, but the most used for astrophotography are the equatorial and the horizontal ones. An equatorial mount has one of the axis directed towards the north or the south pole. This way, the polar axis is parallel to the Earth’s rotation axis. A horizontal mount has one axis directed towards the zenith and controlling the azimuth angle, while the horizontal axis controls the elevation angle. This type of mount is not the ideal option for astrophotography. Use an equatorial mount for your astronomical imaging because they are the best for this kind of photography, and they come in different price ranges. Some are quite affordable, and you can spend as little as $200 on a decent mount, which is quite cheap considering these devices can get up to hundreds of thousands of dollars. When hooking your camera to a telescope to use it as the camera’s lens, you will definitely need a T-mount adapter. You can find one specially made for the type of camera you use, whether you use a Canon or a Nikon. You will place it on the body of the camera and then insert it into the focuser of your scope. It is a cheap little tool, and you can spend less than $50 on one. 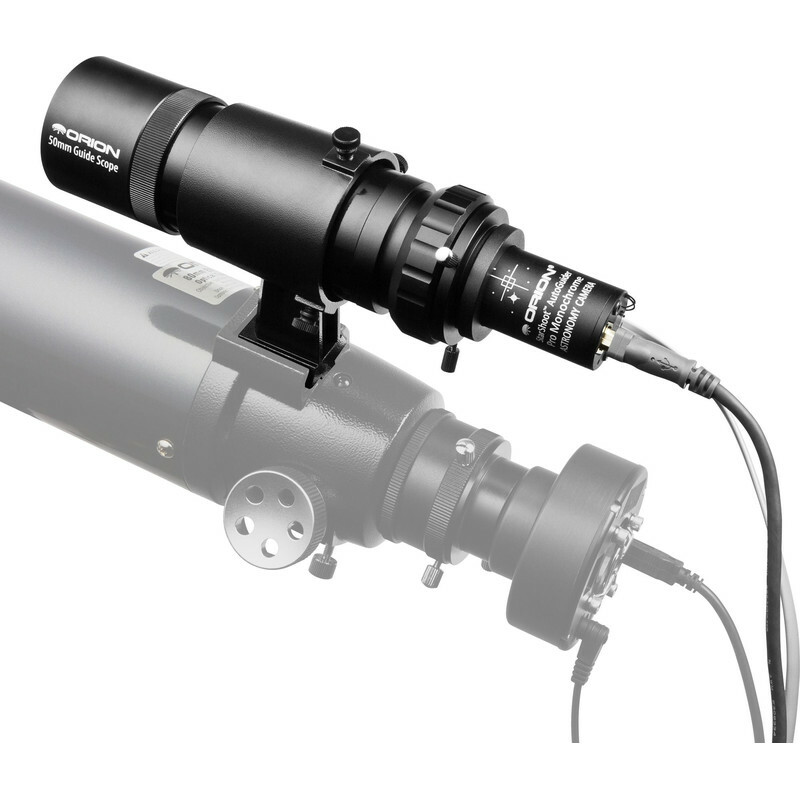 Another addition to your astrophotography equipment is the autoguider, used to keep your mount focused on the target, be it a star, a star cluster, nebulae, and more. You have two options: either choose a guiding telescope or an off-axis guider. Guiding telescopes are mounted on top of the primary telescope used for imaging. Then, a guiding camera is plugged into the scope, and you can control it using a software on your computer. If choosing this method, consider the fact that you will also need to invest in a guide scope ring that is placed between the guiding scope and the main telescope. Off-axis guiders are small devices with a little prism. Just as with a guiding scope, a camera has to be connected to the off-axis guider. This is a very precise method, and you won’t need to carry a second scope with you on your shooting trips. However, you have to be sure that your off-axis guider is well built and both it and the guiding camera are as sensible as possible. A remote release is used to open the camera’s shutter without touching it. This prevents any movement and vibrations that may blur your pictures. The either wired, and wireless remote release only opens and closes the shutter once per every pressing of the release button. A timer remote controller offers more advantages because you can program a series of long exposures and pauses between frames. When it comes to astrophotography, there are plenty of software that can help you achieve the best results. The great thing about it? It’s one astrophotography equipment you won’t have to worry about having to carry with you and weighing heavy on your back. The astrophotography software you should look into include DSLR camera control, image acquisition automation, software-assisted focusing, autoguiding software, image calibration software, photo stacking software, and editing tools. With the help of astrophotography software such as camera control or software-assisted focusing, you can control the most important functions and settings of the camera using your computer. This means features such as ISO or shutter speeds to focus. Autoguiding software also helps you obtain higher tracking accuracy. The image acquisition automation software allows for many short exposure captures at specific time intervals that you can ultimately stack or combine. Through image calibration software you can get rid of some unwanted fixed signals or correct signal modifications. Finally, you will want to adjust the color, brightness, noise, and more. There are many post-processing software available, some specially developed for astrophotography, some for universal use (Photoshop, for example). You can use programs such as Images Plus, IRIS, AstroArt, AIP, Startrails or you can stay with the classic Photoshop that has countless features that will really make your pictures pop. Lightroom is also a good solution when it comes to basic corrections. It is also an excellent tool for organizing, managing, and also sharing your astronomical pictures.